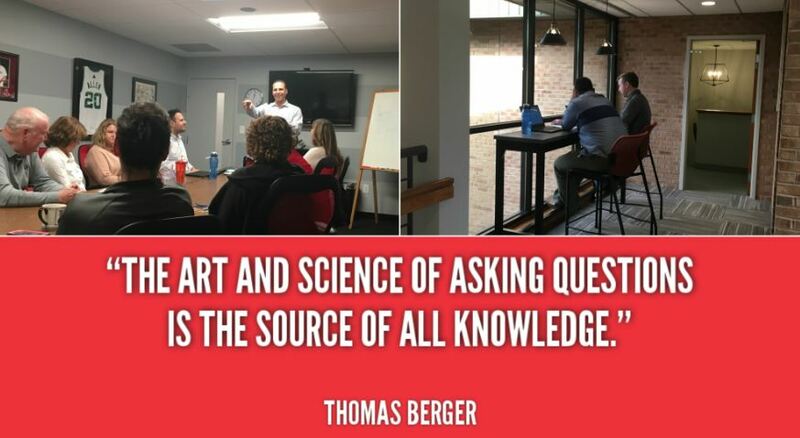 I read an article on “questioning” and how effective it is to be great at questions versus answers. The article focuses on a process for creating an environment for getting people to ask great questions uninhibited from the pressure of “judgement or having the right answer”- the author names it “question burst”. My big take away is the process of asking people to think of questions, versus answers – in and of itself fosters creativity and new perspectives on problem solving. Creativity is one of our Core Values at Smith Brothers. We look for creative solutions for our clients in the risk in their businesses or households, as well as creative ways or processes to be more efficient and effective. It is intriguing to think that by asking people for questions versus answers we may get better answers. One of my biggest fears is group think” or “social loafing” – essentially people going along with what others answers are – both are lazy and do not create real value – nor keep you from missing big blind spots. Any process that empowers people to open up, think, ask, create and add value sounds great to me. I plan on doing it more. Our Sales process – diagnostic and consultative focused – is all about our consultants asking great questions and understanding our client’s needs. We feel our professionals who question well – get to client needs more clearly – and can help guide solutions more effectively that add true value to our clients. See the attached link to the article and I hope you find some of your “greatness” in getting better at asking questions.